Simple purchase and instant download! We have been providing our software with online purchase for over 12 years and have an expert team to ensure things go through smoothly. It's quick, secure and painless. NewNovelist is a Lifestyle Toolbox product and we use PayPal to process your order and can accept credit/debit cards and PayPal account transfers. We will refund your money 'quibble free' within 28 days of your purchase if you are not happy. We can do this because we are confident that you will enjoy the software so much that you won’t want to be parted from it! Important Note: NewNovelist is a Lifestyle Toolbox product which is provided by Glow Web Ltd in the United Kingdom. 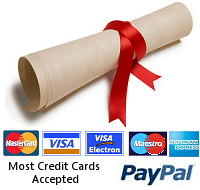 Purchasing is done using the Glow Web Paypal checkout facilities. Once you have completed your purchase, please ensure you select the Return To Glow Web option to immediately come back to us and download the software. You also receive confirmation and download instructions by email. NewNovelist is a Windows program and is not MAC OSX or Linux compatible. When you purchase NewNovelist 3 you buy a single user license to use the software and can download, install and use it immediately with full instructions. Additionally you can order a 'Back-up', installation disc in your order. This does not contain anything which is not available in the download. It is intended for people who like to have a CD of the software for installation. Back-up discs are dispatched from the United Kingdom using 'First Class Royal Mail' to anywhere in the world, normally within 24 hours of purchase. Delivery times vary depending on geographical location of destination. We now operate an ecological policy of minimum packaging. The branded disc is provided in a paper sleeve which is contained within a presentation padded foil envelope. The software is Windows 8/8.1 (except Surface RT),Windows 7, Vista. The software is not MAC OSX or Linux compatible. You are allowed to install and run it on two computers (PC and Laptop) at the same time. NewNovelist is also available from us at Amazon.com and Amazon.co.uk. PLEASE NOTE: Amazon purchases of NewNovelist are for the disc version only.